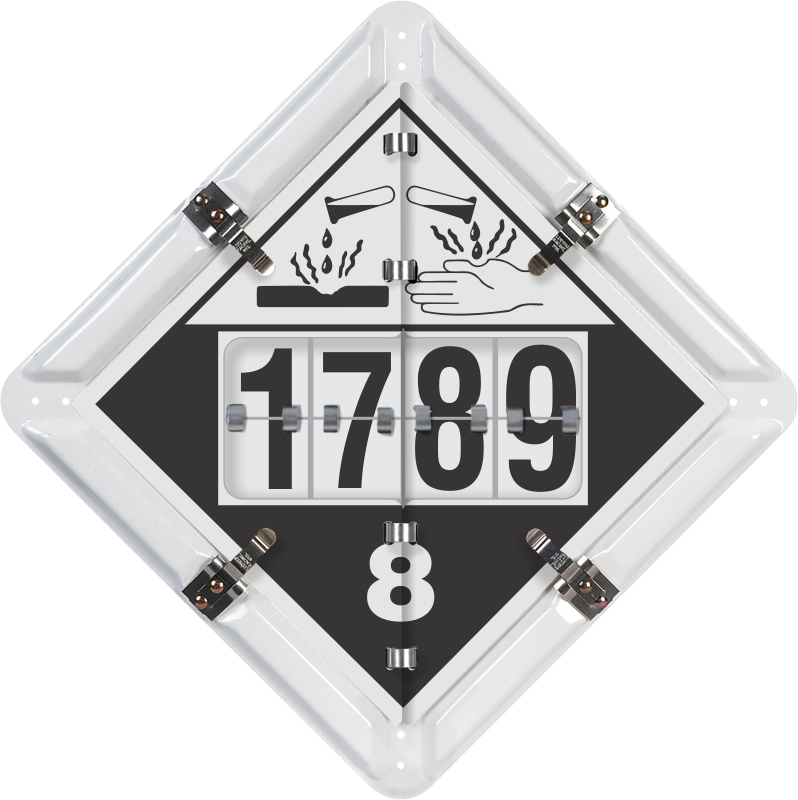 Contents Corrosive, Flammable, Inhalation Hazard, Oxidizer, Poison DOT placard flip panels. 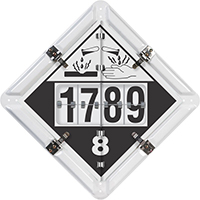 Durable placard sets contain multiple screen-printed legends that meet DOT specifications and numbers to show the UN/NA classification. • This is our most popular DigiLock™ numbering placard set. Heavy duty .032" bare aluminum back plate resists bending and warping. • Panels have a baked-on polyester finish to resist weather and fading. • Stainless clips are double riveted for strength. • Edge channels are designed and proven to prevent ice and salt accumulation.